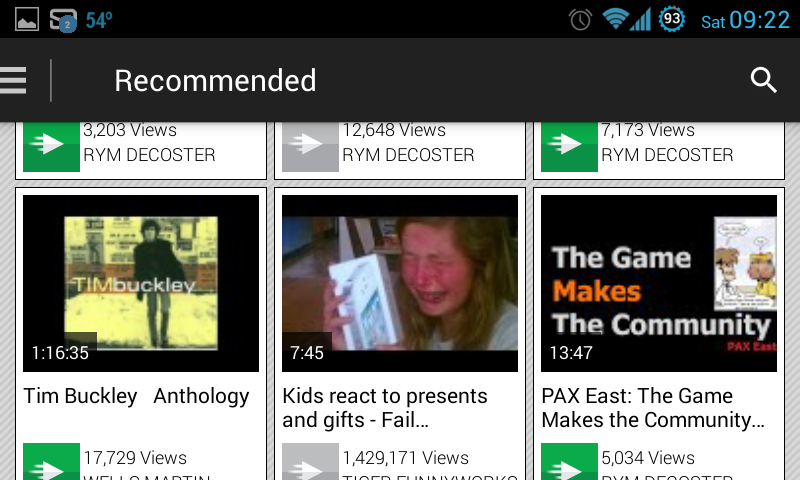 The YouTube app that comes with your smartphone or tablet is already functional enough. It allows you to do the basics of what you need or want to do on the popular video streaming site: watch videos and make playlists. TurboTube does just that in addition to featuring less buffering and starting videos faster. TurboTube doesn’t really have anything special to separate it from YouTube other than speed on some videos. The features that the app’s Google Play site lists even show that it doesn’t have anything that screams “Totally better than the official YouTube app!” The main feature is the speed here—hence the name—which is identified by videos with the green TurboTube play button in the corner. That said, TurboTube does start videos with little to no buffering and I’ve noticed very little lag when viewing the Turbo videos. As for other videos they play roughly the same as they would on the regular YouTube app. HD videos are available, a good layout, switching accounts, social media implementation—all of the basic features from a YouTube or DailyMotion app are there. 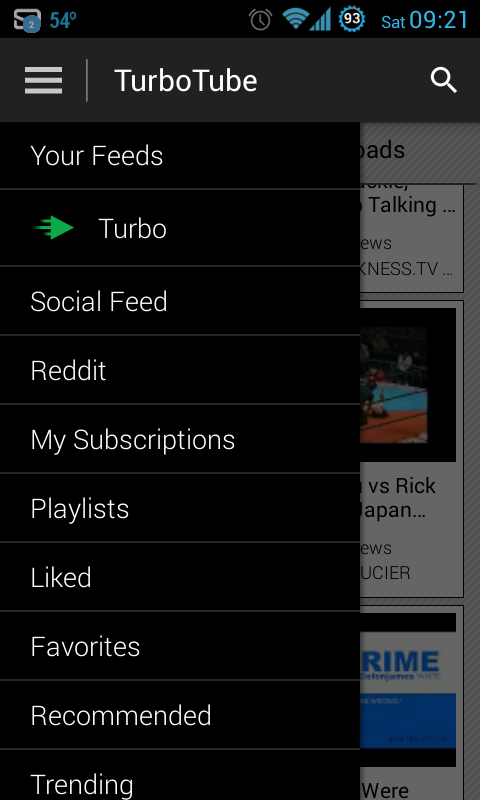 TurboTube features a sleek looking interface that allows for easy navigation whether it be through the app’s search function or through your account’s subscriptions, playlists, or favorited videos. Again, it’s pretty much set up similar to YouTube’s official app as it’s a layout that works for this kind of site. The main difference is that it features a few different categories like “Reddit” but most of it is what you’d see on YouTube’s app. You’ll experience very little lag and buffering in videos as the app advertises. TurboTube is also pretty stable as a whole in relation to working with Android. TurboTube occupies a particular spot as far as YouTube apps go. It isn’t a bad app or a mediocre one—far from it—but it isn’t an essential app. It is worth having if you just watch videos and you’re a very impatient—like yours truly. If you do other things on YouTube such as upload videos, editing and so on I wouldn’t recommend TurboTube. As a pure YouTube app it’s rock solid.